We had been married only two weeks and a day when I almost destroyed our marriage. After a beautiful, fairy tale wedding and a glitch-free honeymoon, Kari and I moved into our new house to begin the journey of marriage. As we settled into our life together, it never occurred to us that the joy and stability of our relationship would soon be tested. Kari had been teaching at an elementary school for two years prior to our wedding, and was paying the bills. I was working in sales. Our plan was to use her income for living expenses until I received my first commission. I couldn’t wait to start making the big bucks at my new corporate job. At the end of the first month, however, I had not yet received a paycheck. Although disappointed, I was optimistic about several important upcoming appointments. I felt confident my big payday was coming soon. On a hot, humid afternoon I had an appointment on the west side of Phoenix, AZ where we were living at the time. Hot Arizona summers require air conditioning to survive, however, the AC in my older-model car was pretty temperamental. On this particular day, it wasn’t working–probably day dreaming of a place that wasn’t 115 degrees. To avoid being drenched in sweat, I took off my shirt and tie for the 15-minute commute to my first appointment. As I left that meeting, I noticed an auto mall next to the office building. Since I had a couple of hours before my next meeting, I killed some time by looking at all the shiny new vehicles. As I casually strolled through the lot, I spotted my dream truck. Its dark green paint sparkled in the intense sunlight, beckoning me. “This is just what I’ve always wanted!” I said out loud. “A full size, extended cab with all the bells and whistles.” I envisioned myself roaring up the mountains and splashing through the muddy puddles in my new four-wheel drive. Just for grins, I decided to take this baby for a spin around the block. A few seconds later, a salesman appeared out of nowhere, and before I knew it, I was turning the ignition. I flipped the air conditioner on full blast and felt the cold air immediately hit me in the face. The big truck drove powerfully and smoothly around the quiet neighborhood. This truck was exactly what I dreamed of. We entered negotiations, and after an hour, ended on a price I couldn’t refuse. “Was it really possible for me to buy a new truck without even having a salary?” It was unbelievable. So, I signed on the dotted line and drove away in my “dream” truck. I couldn’t wait to get home and surprise my new wife. My anticipation soared higher the closer I got to home. Turning the last corner, I began honking wildly. I pulled into our driveway, still honking. Kari came running out of the house while the rest of the block peered through their front windows to see what all the commotion was about. Without fully realizing it, I had managed—in two weeks and one day—to nearly destroy my new marriage. That was painful. Kari and I—but mostly I—learned a lot through that storm. Over the years, we have grown immensely in our relationship. On our journey together, we’ve uncovered six traits for us to have healthy marriage. I won’t lie. This probably took us the longest to develop. We both loved Jesus, but centering our marriage on Christ was difficult. First, what does a Christ-centered marriage even look like? Is it just us going to church together or saying a prayer at meal time? Kari and I did both. We went to church and prayed at meal time–even in restaurants.We were each living Christ-centered lives, but I wouldn’t say we had a Christ-centered marriage. Personal time with Jesus is foundational to a Christ–centered life and marriage. But spending intimate time with Jesus and in His word should overflow into our marriages. Despite Kari and I having individual devotional time studying the Word and praying, we never had any spiritual conversations. We didn’t take time to share what God was teaching us. Everything changed for us when we started sharing our personal relationships with God with each other. We began to share what God was teaching us through His Word, what He was speaking to us, and what we were praying for. The simple act of talking about God in a real and personal way began to take our relationship to another level. Our spiritual lives went from solo efforts to a collaborative journey of our souls becoming one in worship, prayer, and spiritual growth. A Christ-centered couple has a deep, shared faith in God. They know Jesus individually and as a unit. He is at the center of the marriage and their relationship “is built on the foundation of the apostles and prophets, with Christ Jesus himself as the chief cornerstone” (Ephesians 2:20, NIV). One of my heroes in the marriage world is Dr. Scott Stanley. He is a leading authority on marriage and his research is recognized around the world. In his research, Dr. Stanley pinpointed that couples who display “commitment” are happier, more connected, and more open with each other.Of course that makes perfect sense, but really think about the implications here. Dr. Stanley describes commitment in marriage as an “allegiance to your spouse through the good, bad, and ugly.” He describes dedication as “an internal state of devotion to a person.” Regardless of the circumstances, each spouse will prioritize the relationship, protect it, and sacrifice for each other without resentment. As a team, they make decisions, build their future, and dream together. Marriage is a team sport. If one spouse wins and one spouse loses, that counts as a loss for the marriage. Buying that truck may have been a huge victory for me, but for Kari, it was devastating. In our marriage, my choice to purchase a truck without Kari’s involvement was robbing our relationship of the kind of commitment that builds safety and openness. When both parties feel safe and free from ridicule or shame to share their feelings, thoughts, and dreams, the marriage flourishes. A great marriage begins with a great friendship. Dates should be fun, exciting, and full of laughter. Unfortunately in marriage, dates can become difficult. Trying to add time to an already-jammed schedule can be overwhelming, and then there’s the task of finding a sitter. Speaking of sitters, dating can be expensive! And if you’re marriage is in a rocky patch, the concept of a date might make you feel a bit awkward or even angry. If you’re a regular at Fellowship of the Parks, you’ve already heard how valuable dating is to your marriage. Research shows that couples who have a regular weekly date night have healthier and happier marriages. Every healthy marriage fights. Yes, strong marriages have disagreements just like everyone else. In fact, conflict can actually be good. How you choose to resolve the conflict makes a great, average, or miserable marriage. Kari and I had no fight strategy in place when we exchanged our vows. So, two weeks and one day into our marriage, it wasn’t a pretty sight. We did eventually work our way through it, but it didn’t happen until we adopted a communication method to resolve our conflicts. Yes, we can find a healthy way to resolve our conflicts. To develop a healthy communication strategy in your marriage, I want to invite you to attend our “Love and Respect” class. The course is three sessions, meeting on Thursday nights at our Keller campus: June 23, 30 and July 7 from 6:30 pm – 8:30 pm. The cost is $30 per couple and includes two workbooks. Free childcare is available. You can register today by clicking here. Can you believe that 70 percent of all divorcing couples claim money as the number one reason for divorce? You and your partner probably have had many fights or disagreements when it comes to money as well. Even after that dream truck mistake I made 24 years ago, Kari and I have been right there with you. Most money conflicts are not about plentiful money or lack of it, but about poor money management. Overspending and debt can create havoc in our relationships. Having a money plan will help bring greater harmony and peace into your relationship. If you need help developing a money plan, be sure and sign up for your campus’ next Financial Peace University class. Kari and I didn’t learn to serve together until later in our marriage. We were a part of the church and each serving, but again, we weren’t doing it together. When we left for our first mission trip together as co-leaders, I had no idea whether we would encourage or destroy each other. 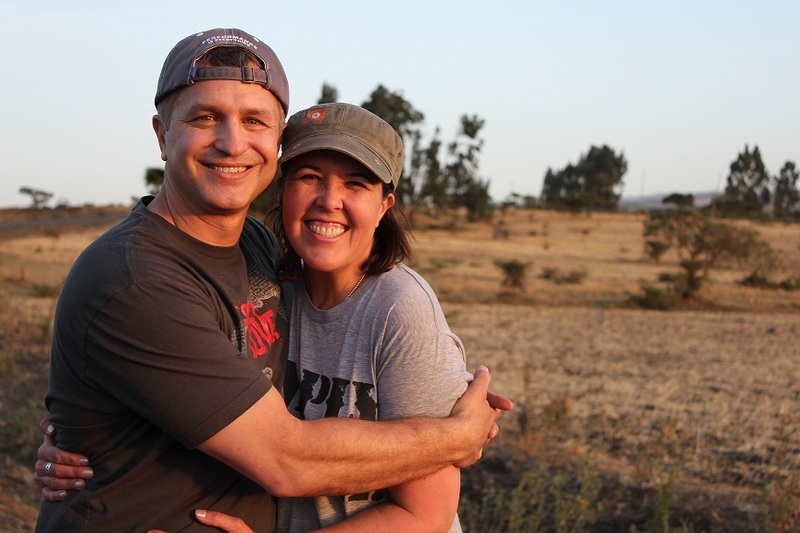 That may not be how you and your spouse are wired, but co-leading that trip together was thankfully one of the best experiences Kari and I have ever had. And to this day, we truly enjoy serving others together. Individually, serving others helps to take our focus away from ourselves (human nature). Within marriage, the bigger picture of serving is equally, if not more profound. A couple working as a unit to serve the physical and spiritual needs of others reminds us that our marriages are not the end goal but rather another tool that allows us to bring more glory to God, who is Himself the real and ultimate end goal. Not surprisingly, our obedience to God in this way inevitably provides those blessings we were originally seeking when we were fearfully focusing only on ourselves. Serving and loving the church, orphans, widows, and the poor restores energy back into our souls to help us love each other even better. Kari and I are a long way from a having a perfect marriage, but we keep striving toward growing more in love with Jesus and each other every day. We make it a point to have fun every day, but like any couple we’ve had some days when our relationship really wasn’t that much fun. That’s a normal marriage—up and down, good days and not-so-good days. Our marriage as a whole, however, keeps getting better and better. What action steps are you doing to make your relationship stronger? Which one trait of these six can you start working on to make your marriage healthier? Be sure and sign up today for the Love and Respect class. I promise, it will be the one of the best investments you will make in your marriage. Make this the best year ever in your marriage! Beautiful Story of your marriage, I believe that if we all think about things we do that have caused conflict in our marriages. The important thing is to have a method of resolving those conflicts. My motto has always been, Happy wife Happy life.